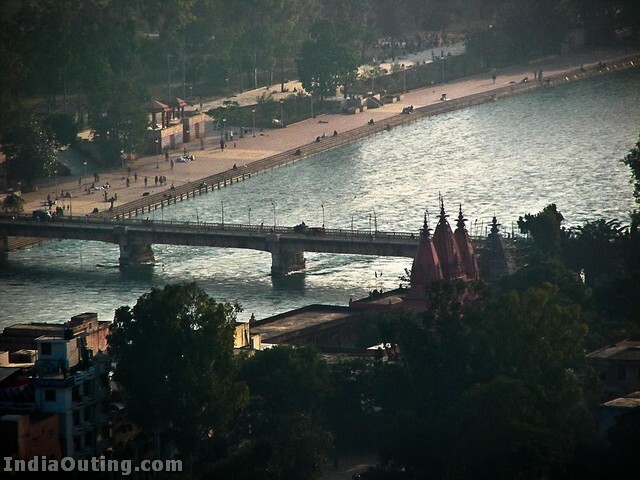 Haridwar (हरिद्वार), also spelled Hardwar, is a city in the state of Uttarakhand. Haridwar, literally Gateway to God, is one of the Hindu holy places in India and a center of Hindu religion and mysticism for centuries. Located on the banks of River Ganges (Ganga), at the point where the Ganges descends from the hills to the North Indian plains, Haridwar attracts a large number of Hindu pilgrims from all over the world. Haridwar is the site of many religious festivals. Most notably, once every twelve years it is the venue for the Kumbh Mela, humanity’s largest festival, which drew a record 70 million in 2003. (The festival rotates between Haridwar and Allahabad, Ujjain and Nashik.) The Ardh Mela, or “half mela”, is held every six years. Both will be held in Haridwar for the next time in 2010. 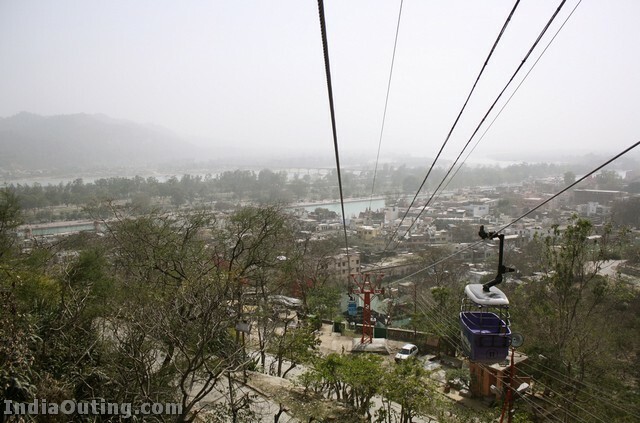 See the Haridwar city website for a complete listing. While the festivals are colorful and fascinating, they also strain the town’s limited infrastructure to the breaking point and sometimes beyond. Book rooms and tickets well in advance, and avoid travel by road as the traffic jams can be horrendous. Get inHaridwar is about 200 kms from Delhi, the capital of India and is well connected by road and rail network from all parts of India. It is better to avoid travelling to Haridwar during the hindu month of sawan (around july) since there is a heavy crowd and all important roads are blocked and most of the hotels/busses/trains are crowded. Dehradun’s Jolly Grant airport, with twice daily service to Delhi on Air Deccan , is 20 km from Haridwar. Haridwar Junction (IR station code : HW) is well-connected by train. The railway station is located on the south side of the town, within walking distance of most hotels. Haridwar’s bus station, a stone’s throw from the train station, is chaotic and has no signage whatsoever in English. There are regular bus services from Delhi (4-5 hours), Rishikesh (1 hour) and other important towns of North India to Haridwar. Though they claim they reach New Delhi in 4-5 hours they take at least 6-7 hours. Due to the traffic jams in the roads leading in and out of Delhi it can even take 7-8 hours. Before booking the bus check the bus condition. Always go for cushioned and push-back seats. The long and bumpy ride will take a toll on your mood and body. 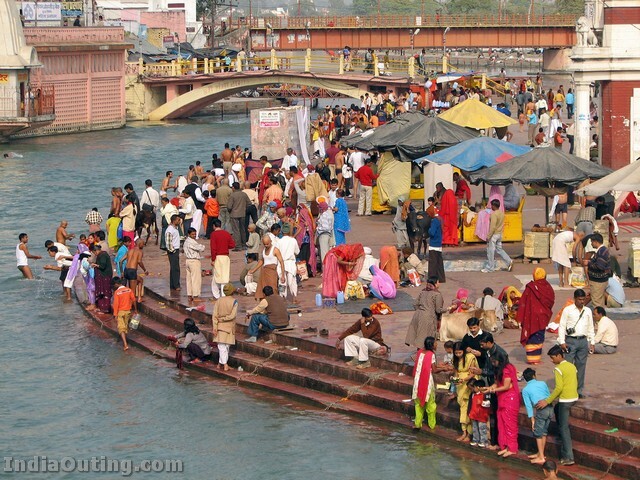 Central Haridwar can be reasonably comfortably covered on foot. Cyclerickshaws abound, and most trips in town should not cost more than Rs. 20. Taxis and autorickshaws congregate at the train and bus stations. 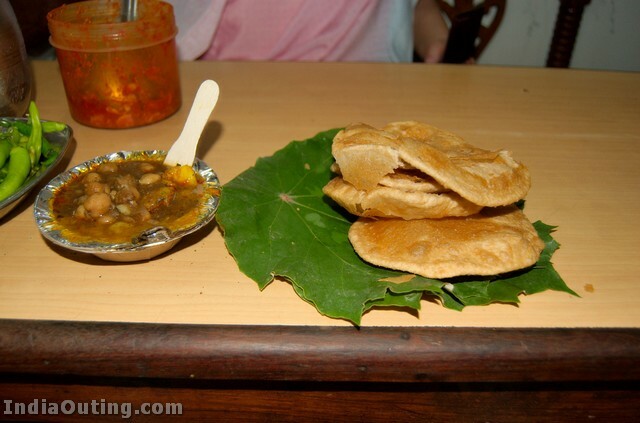 Hari-ki-Pairi (or Har-ki-Pairi). 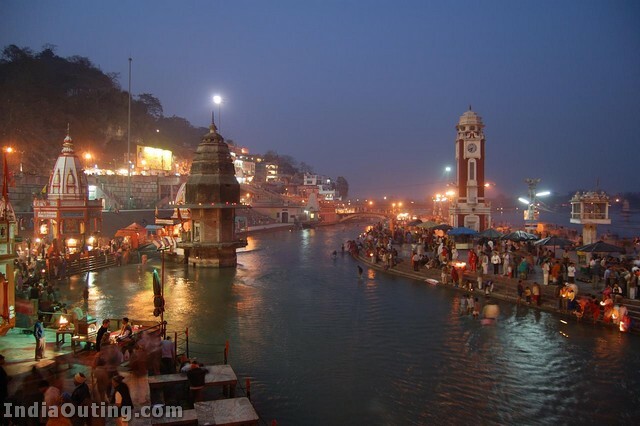 To the north of the center, this is Haridwar’s focal point, where devotees gather to bathe and worship on the Ganges. According to legend, this is where a drop of nectar fell from the churning of the oceans when the world was created, and a stone wall has Vishnu’s footprint. 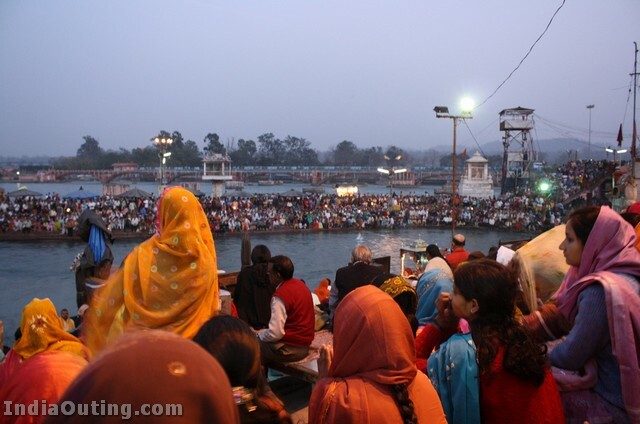 Each evening around 7 PM, thousands gather and worship the river Goddess by putting diyas (floating lamps) in the river. You may be asked to make a donation if you linger near the ghats. Beware of con artists posing as officials. If you would like to make a donation there are boxes at the center of the ghats around the light poles. Mansa Devi Mandir, atop a hill near the center of town. Can be reached by cable car (Rs 48 for a return ticket) or by a road that gently winds uphill (about 2 km), starting from Railway Rd. The temple is aesthetically not particularly noteworthy, but the views are grand. Expect to queue to board the cable car and once more to enter the temple: despite some rudimentary attempts at crowd control, the crowds of jostling devotees can make this a pretty intense experience. Ma Anandamayee Ashram, Located at Kankhal. The samadhi of Shree Shree Ma Anandamayee is located here and is also the Head Office of the revered organisation. It is a must see. Devotees included late Mrs Indira Gandhi (ex Prime Minister of India). Attend the evening aarti near Ma’s samadhi and have a soul cleansing experience. Haridwar, the holy city is one of the most renowned pilgrimage centers in India. Pilgrims from all over the world flock to this sacred city to take a dip in the holy waters of River Ganga.Being a destination for pilgrimage tourism, shopping in Haridwar is not on the itinerary of the tourist. However shops in Haridwar have some interesting things to offer to the tourist. The main shopping centers are Moti bazaar, Upper Road, Jwalapur and Kankhal. 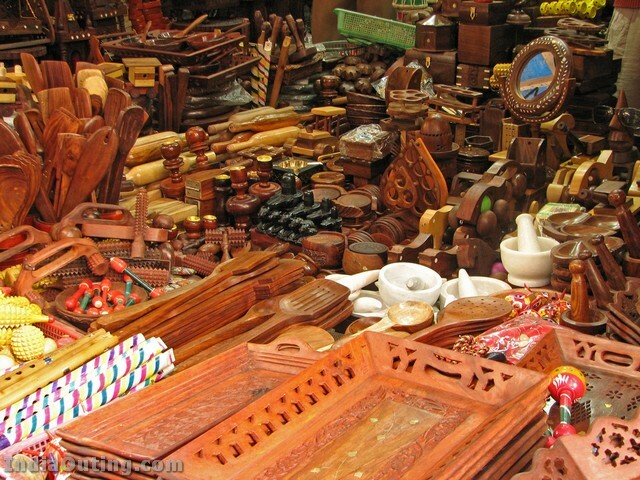 You can also check out the Government Handloom and Handicrafts Emporiums and the Gandhi Ashram. Here you will find a range of handicraft decorative pieces. If you are interested in jewellery, then you can choose from a variety of imitation ones which make good fashion accessory. Hope to reach the gateway to god. very unclean, no crowd crontrol at the Har ki Paudi, MOST OF ALL ARTI BEING PLAYED BY A LATA MANGESHKAR CD. As opposed to it the Arti at Rishikesh is more authentic, sung by human pujaris. We HIndus have so much to be proud of but by mis-management we prove as if we are not CIVILIZED. Go to the Vatican in Rome, come to MOntreal and see our Churches. WE HAVE A LONG WAY TO CATCH UP. 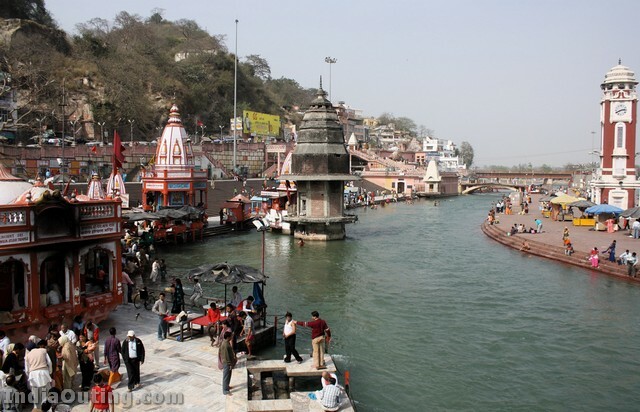 I agree, with Rajinder – I have visited Haridwar the first time in 1962. After that, have visited many times and the last time was in April, 2007. I find no change in Haridwar, from the first time to the last time. I have cities completely change and become better in 3 to 4 years in many parts of the world. But in Haridwar and many parts of India it looks like time stopped 50 years ago. Wish we Hindus could do better, and change all our Religious Sites for others to appreciate and uplaud and for our coming generations to be proud of our religion. If we dont do it now, we will never do it. One should see the temples in other foreign countries like UK , USA and Canada, which are built by the same Indians and also managed by the same people. Why this cannot happen in our motherland?? It is a pity. Your presentation is quite impressive. The Ganges looks so beautiful at Hardwar ! GOD wiling, I will visit the place one of these days. The presentation quite is impressive. The Ganges looks beautiful at Hardwar, esp. at night ! GOD willing, I will visit the place one of these days. Want to have some information on Gaumukh and Amarnath,if available pls. I like the presentation very much. nice presentation,but got a little bit demoralised by reading the comments of others. Thanking you, You are good side in suggesion and presentation is a very good so thank for your side and infomation. I am a South African Indian with close family ties in the motherland. I have not visited India but try and read up on what is happening there. By all accounts things are improving by leaps and bounds now that the growth rate in into the double digits. I am sure that these religious sites will soon come into the spotlight as it is the core to the tourism market in India. We are not uncivilized in fact we are the most civilized. We should not compare ourselves with other cultures but we should never stop trying to improve. Let us not complain let us all do something no matter where in the universe we are. I agree with Kumar Mahanti. I also am sure that the scenario shall never change even in coming 100 years. Reason: Our religous places are under control of thos epeople who are never rich. They earn a lot from these places even then they are hungery. People forget the purpose of visiting these places when they find nothing is related to religion and business is everywhere. Pandits and Purohits are engaged in looting their Zagmaans and all the hotelwalas are making hay in absence of community langar by the shrines itself. These shrines are earning lacs of rupees per day starting a free langar could be a good excersie to prevent the pilgrims from being looted in the open market. But doing so may be harmful for the management committes of these shrines who actually run hotels, dhabas, eating inns in this place through their kins. Sikhs are better: You go to any historical Gurudwara be it in Europe, Madras, MP, Maharashtra or Punjab, you will get place to sleep under roof, free langar for everyone. And pilgrims do not keep anything in free, they voluntarily donate in Guru Kee Golak. It is their will and respect for the langar. Thank you very much. very good job done. Very well done! Feel like looking at snaps more and more…. Glory of the Ganges is not anywhere mentioned. The water of Ganga has curative powers. People feel totally transformed after a Ganga Snana. Our traditional lore are abundantly declaring the unseen dynamics of Ganga. Please collect views of Indologists on the hidden powers of Ganga, Kumbhmela and powerspots located on Ganga banks like Rishikesh, Haridwar and Varanasi. VERY WELL DONE.IN REAL SENSE IT VIVES US A GREAT RELIGIOUS HERITAGE OF THE NATION. SNAPS ARE TAKEN VERY ARTISTICALLY AND LOVELY.IT INSPIRE FOR VISIT. I love to visit this place. I live in South Africa and have for the first time in my life visited India. I cannot believe the simple life our people lead there. India is very addictive and i would love to visit again God permitting. if you guys in India can send me photos of places of interest and general photos of Indian towns where you live i will really appreciate it. As all of you know we have such a wonderful plances and each place has a unique legend and are very sacred. Let Govt (Archelogical Dept) take care of the existing and let them not build new one, that itself is sufficient. I endorse the views of Mr.Rajinder Sud and Mr.Kumar Mahtani. At times tears trickles down without your notice, the way our heritage and culture is being spoiled. Day in day out many dignitaries visit abroad, I do not know why they do not want to uplift our country. The reply is only with the god. A nice presentation with nice pictures. Though has not gone in person, i have heard about crowd at Haridwar during peak times. I have visited Haridwar the first time in 2007andthe last time was in june, 2009 with wife pinki. I find no change in Haridwar, from the first time to the last time.Wish we Hindus could do better, and change all our Religious Sites for others to appreciate and uplaud and for our coming generations to be proud of our religion. Its so nice , to see our heritage , but how on earth ppl like us can give our ancient heritage to the management like this , tourism ministry has done nothing . The pictures are ‘WOW” very enriching it really tells of the Rich Heritage Culture of India. Should have more in the web. for us to view n keep. Helps to spread n preserves the pictures for the future generations to see in case they are lost. THESE ARE PLACES INHABITED BY UNDERPRIVILAGED PEOPLE OF INDIA. THE DEPLORABLE CONDITION AND MISMANAGEMENT ARE DUE TO THIS FACT ONLY. VERY BEAUTIFUL PICTURES.tTHEY GIVE THE FEELING THAT WE ARE AT HARIDWAR. i agree , at haridwar there’s lack of administration and loose control over public residing near har ki pauri.. But apart from all these it makes a holy spirit in our heart at the evening time of aarti and we could have an wonderful experience ..
Ganges at haridwar is WONDERFUL……Very good place to visit for Hindus but the place needs some improvement in local administration..
also for sure one should visit dere …..
My first visit to the Holy city (and the only one so far,) was during the year 1976.By seing this presentation I genuinely feel I have revisited HARIDWAR. My eternal Prayer to GOD is I physically revisit the holy place, not once more but many more times. hope v reach the gateway 2 god. very good job, god bless you………. i agree the cleanliness factor is a huge let down. the clean look is seen by all and subsequently followed. we should ensure that there are toilets in most of the places and well maintained once again so that it is for all to follow. yto be explored for generating the upkeep revenues. wonderful, fascinating photographs with reasonable discription.it is muchmore what has been described. It merits a visit of Haridwar & Rishikesh. Get ready & plan it. I have visited Haridwar the first time in 2006. After that, have visited many times and the last time was in April, 2007. I find no change in Haridwar, from the first time to the last time. I have cities completely change and become better in 3 to 4 years in many parts of the world. But in Haridwar and many parts of India it looks like time stopped 50 years ago. Wish we Hindus could do better, and change all our Religious Sites for others to appreciate and uplaud and for our coming generations to be proud of our religion. If we dont do it now, we will never do it. One should see the temples in other foreign countries like UK , USA and Canada, which are built by the same Indians and also managed by the same people. Why this cannot happen in our motherland?? It is a pity. hardawar is a good place. Nice…Very nice. I’ve visited once but it is very informative. It will be helpful when I will go next time. I have been to these place somewhere in 1983. By looking at this pioctures u have brough my live memory back. Yes I too agree with Kumar Sud & Mahanti the temples and pilgrimage places in India are very much below the western standards. I could view the Funeral of the Pope Paul at Vatican and the arrangements made well they were Superb. I have Visited the Swami Narayan Temple and the Management and the arrangements and the facilites for the devoties are superbly organised. When the other countries do WHY WE CANNOT??? Moreover excuse me – why I have gone to other parts of the world I just remebered the MANAGEMENT OF DURBAR SAHEB AT AMRITSAR – why the examples are not taken from their Management it is also very well maintained & well organised. So The Respected Citizens the choice is in your hands. Nice and informative presentation.I have visited haridwar in 2007.and again i wish to visit this place. Pray her by heart and the godess will grant your wish. its a lovely Religious place.I like this Place Very Much. Now a days everything is commercialised like what ISKCON has done in all these places. Sanctity has given way for fashion with all ultra modern activities to lure people. I like it keep it up . Thanks, This is very religious place, wonderful. devbhumi near to haridwar but only once i seen hari ki pauhri. its really a illuminating mail.. VERY BEAUTIFUL PICTURES.THEY GIVE THE FEELING THAT WE ARE AT HARIDWAR. 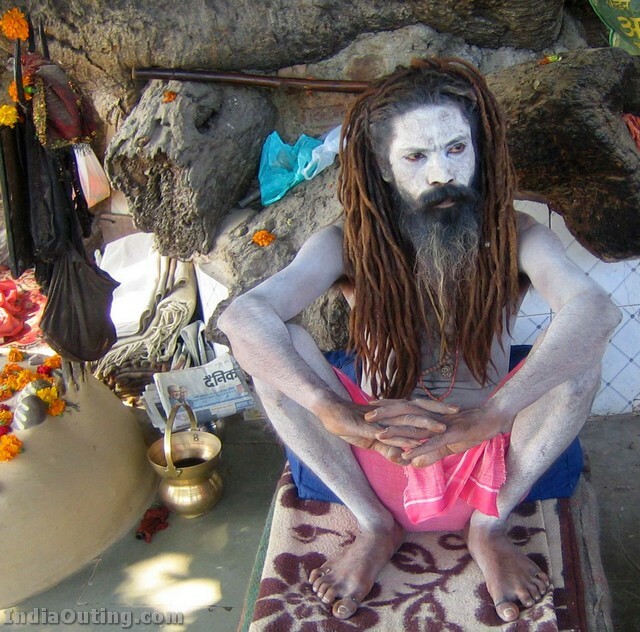 I’m planning to visit Hardwar,Rishikesh,Badrinath very soon this year(May,2010) with our other family members. But the comments of the experienced people about these places discouraging me. Not able to understand, are they advice not to go or we can ignore those discomforts and above all to get the blessings of God we have to visit. If anybody advices would be better. almighty god with full power and vision. Thank you very much for taking us to Haridwar the gate way to God. Very nice explanation. We enjoyed as if we were at Haridwar the Holy city. Till i Havve not visited, but while i go through the above all comments, i would like to say that We- Indian can only do these. Whether it is good/Right or false. We should respect our religious and country. we are resposible for uncleanliness and others managment deficiencies. Please do not compare with other countries temple managements, beacause they have to abide some rules and regulation. Meaning at all location in the world, Hindu’s temples are managed by indian only, although we found some difference. The reason is our tendency and rules and regulation.BE PROUD FOR INDIANS.ANY WHERE YOU GO INDIAN REAMINS SAME. All know God, God will not forgot our works. bahut hi manbhavak haridwar ke darsan ke liye aapka hardik abhinandan. I am really delighted to have a glance over the pictures shown here and are really nice. I appreciate your nice information from the depth of my heart. Wishing you all the very best in your life and GOD BLESS YOU. NICE PICTURES. agree the cleanliness factor is a huge let down. When is the time to visit when not bothered by large crowd. People should understand that the place of worship is to clean the ATHMA and such place should be kept clean and tidy. We are also responsible for its upkeep. wow ! I recently visited the Haridwar and Rishikesh in Kumbh 2010 was wonderful experience. We enjoyed Morning & Evening Aarti and took holy bath. I wish to go again and again. Excellent pics good work. if u have any more information for haridwar, kedarnath, gangotri, yamunetri, deharadun, massoori etc. how many days for that place. plz sent be e-mail. I have visited Haridwar twice and like to visit many times.I have also seen many temples of Europe and USA.It is sure that there temples are more clean and well maintaned.But we need not compare every thing with others at the same time we should try to improbe the conditions of our pilgrim centres by our own people and Govt.Thanks for good presentaion. It will so nice of u,if u send beautifull high resolution wallpapers of GOD & GODESS like Ganpati,Lakshmi,Saraswati,Maa Durga,Lord Shiva etc. Excellent pictures. I had long back visited these places (during 1984) and now am tempted to visit again. my grandma went to haridwar and it was excellent it seems. i may too also go to haridwar in future. and even some ritual places. these pictures of haridwar represents the beauty of incredible india. plz send ooty article in india outing.I want to recollect my good memory.I was stabbed at the back by a charming girl in 1983.I begged for her love in 1983. I visited haridwar 2 times with my old age mother. it is worth & very good place to visit such place. one need real luck to visit such place with parents. I love to be INDIAN!!!!!!! haridwar is beautiful place. I have visted in Jan-2007.But Ganga is very quietly flowing. An evenig Arti time is really memorable. All the pictures shown are wonderful. I visited haridwar 1 times with my mama ji & mami ji. A lot of views on a creative work. Okay,its nice and worthy experience for the creator. My greetings to u. Anyway, anybody born here has come with a permanent genetic goal,which is to attain eternity. When such a need lies everything is next to that goal. that is the reason for our lack of cleanliness, see even the life of a person is very cheap here, v are such a stuff. I like these pictures. These pictures r so nice. This is a different view. i hope peoples will appreciate u. Cheers very much, I have found this info very useful! This is really good place but now these day people is going to make BAZAR, can say ki customer place, Plz. ishe bachao… over all good holy place of India. in the world according to Holy place……. WE VISITED HARIDWAR ON 15TH OF may, 2010 and25thofmay, 2010. MADDENING CROWD, COULDBE DUE TO KUMBH MELAHAS JUST ENDED. I had been to Hardwar, a large number of times during last 30 t0 35 years and found the place to be as congested, so dirty and unmanaged as it was. Let the Govt wake up ! I had been to Haridwar and Rishikesh a large number of times and everytime found that the congestion and pollution is multiplying by leaps and bounds. Govt of Uttaranchal and Govt of India should atleast save this holy city and sacred Ganga. May God give good sense to both. This is no doubt a very sacred placed. Specially the evening is exceptional. one can feel himself near to god. But basic amenities need to be improved a lot to compare with other developed country & religion.However in a country like us specially for hindus its a very nice place when you disturbed in mind. This place will rejuvenite one & all. India is such a beautiful country. Have always wanted to see a Geopard in the Wild. And thats possible in South Africa. Hopefully leaving in about one months. hi friends i hope you fine. we have my fist time visit in haridwar 2003. i like environment in haridwar. i like God Temple. Ma Mansa Devi , Ma Chandi Devi Yatra. i like so Ganga mata Cool Water. Daksa Mandir. Bilkeshwar Mandir.Gorisankar Mandir, Neleshwar Mandir. i want to go per month Haridwar. dear friend Haridwar Is a God Moksa Dawar. Hari Ka Dawar. Haridwar leave in vishno bharma mahesh. Nice to see and solace. The ghats near saptrishi ashram are very peaceful and very clean. Goswami ganesh Dutt Ghat is quoit peaceful and beautiful. The sun rising is worth interesting. The 3rd shot in the post is mine and has been used by you without my permission and the worst part is you aren’t even replying to my mails which i have sent to you. I hope you will surely response with a suitable explanation and will settling down this case as quickly as possible.